A recent study found that newborns are at a greater risk of congenital heart defects if their fathers are smokers. The researchers wanted to see how newborns were affected when expectant mothers were exposed to secondhand smoke generated by fathers. To do so, they examined over 120 studies that involved nearly nine million parents and over 137,000 newborns with congenital heart defects. Whether mother or father smoked, the baby was more likely to have a congenital heart defect, though the risk was increased when fathers-to-be picked up the cigarettes. According to the researcher’s analysis, expectant mothers who smoked increased the likelihood of a heart defect by 25 percent, while fathers that smoked increased the risk by nearly 75 percent. When pregnant women were exposed to secondhand smoke, the risk of congenital heart defect increased by 124 percent. The researchers also found that these risks are prevalent through all stages of pregnancy, and even before a woman becomes pregnant. Dr. Qin encourages healthcare providers to inform their patients of the potential risks associated with smoking and secondhand smoke to help prevent birth defects. 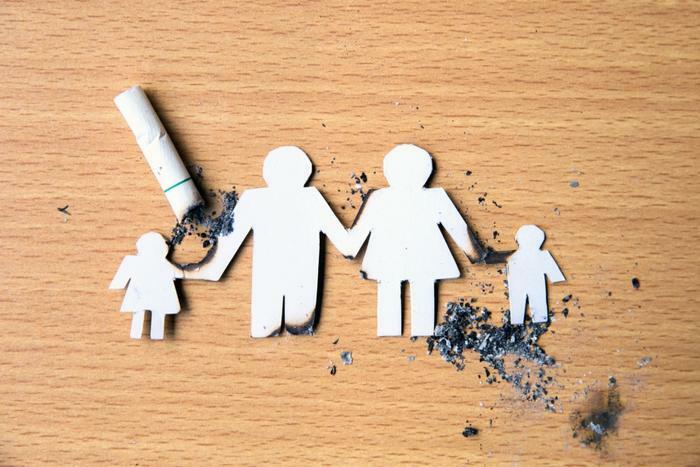 In another recent study, researchers found that fathers who smoke could be affecting their children and grandchildren. The study found that when fathers smoke, both female and male children were more likely to show signs of attention deficit and hyperactivity. The researchers also found signs of cognitive inflexibility in the tested children, which means they were unable to cognitively adjust to new conditions. Mothers who smoke also put their newborns at risk, as researchers found smoking while pregnant can increase the risk of sudden unexpected infant death syndrome (SUID). “With this information, doctors can better counsel pregnant women about their smoking habits, knowing that the number of cigarettes smoked daily during pregnancy significantly impacts the risk for SUID,” said Dr. Tatiana Anderson.